This title consists of two stories, The King of the Beggars and The Masked Angel. Synopsis: The Saint stumbles upon a protection racket being worked in Chicago. The King of the Beggars extorts protection money from street beggars. The Saint and actress Monica Varing team up, in disguise, to infiltrate the organization and unmask the King. No middle class here, we alternate between the alleys and high society parties. Good account of the dirty Chicago of the 1930's. 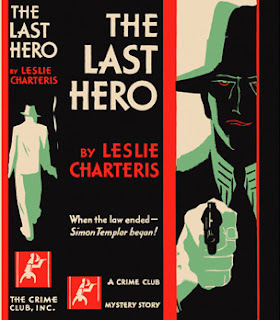 Synopsis: The Saint attends a fight in which The Masked Angel knocks out Torpedo Smith, for good - he is dead, but the actual cause is not known. The Angel wins every fight, even those he was not favored. The Saint is suspicious that Dr. Spangler has done something to give the Angel an unfair advantage. The Saint takes away the Angel's gloves for examination. The Masked Angel is to fight Steve Nelson next for the championship, but Steve meets his end, and The Saint substitutes for him in the ring. Review: Unlike many adventures based on sports, even those who do not follow prizefighting can follow the action in this account. The Saint is in good form as he chases down the mystery of what happened to Torpedo Smith. Much attention is given to following the trail of a handgun - which had not been used, so why bother? And we always look forward to Patricia Holm, but she makes only a cameo appearance. 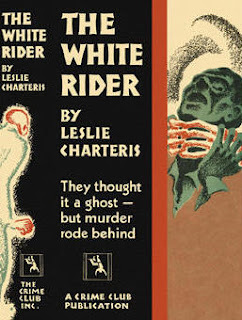 The White Rider is the second of two novels which preceded the Saint series (The first being X Esquire). I was fortunate in finding both titles on eBay. Synopsis: Marion Fenton's stepfather, Seldon, accumulated a fortune (1 million pounds) in illicit drug money in New York. He has passed on, and the money was never found. Marion claims to have stashed it somewhere, but will not touch it on principle. She worked as secretary to Arnold Bracebridge, but quit after his repeated advances to her. She lives at Sancreed Manor, and there is a mysterious horseman, called The White Rider, who rides about at night in the vicinity. Bill Kennedy is sent by Scotland Yard to investigate, and attempt to locate the money. He is accompanied by James Haddon of the New York City police. Soon after their arrival, Bracebridge is found murdered in an abandoned cottage in the woods, and The White Rider had been seen nearby. Where is the 1 million pounds, and who is the White Rider? Definitely this is a "first draft" of the Saint series, with our adventurer-on-the-edge-of-the-law Simon (hmm, even the same name) Lestrange. All the elements are present: fast cars of fictional makes, wild chases, a beautiful damsel in distress, booty to be had by bopping the ungodly. A bit hard to follow who is speaking at times, with many references to a "Steven" who is never quite identified - he seems to be only a figure of speech. 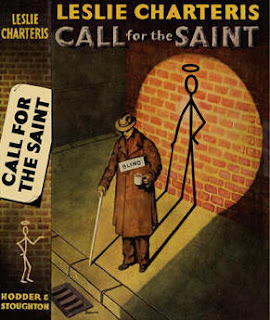 A bit rough and repetitive in places, but quite a fun read knowing it was one of the two predecessor novels of the Saint series. Just remember this was 1928 when standards were a little different.